New favourite books from Bertien Van Manen, JH Engstrom, Cristina De Middel, Mike Mandel, Nobuyoshi Araki, Jacob Aue Sobol, Keizo Kitajima, Seiji Kurata, Hajime Sawatari, Desiree Van Hoek and Sophie Bramly!!! Please check out the signed books, limited stock! Swedish artist JH Engström is an inveterate bookmaker. 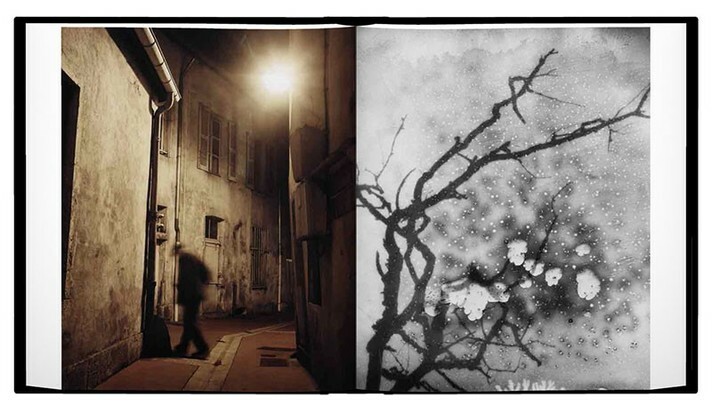 Most recently, his published works have explored ideas of place and home, including Sketch of Paris (Aperture, 2013), La Résidence (2010), From Back Home (2009), and CDG/JHE (2008). After more than a decade of such thematic projects, Tout Va Bien returns to the looser, more associative approach of Engström’s critically acclaimed volume Trying to Dance (2003). 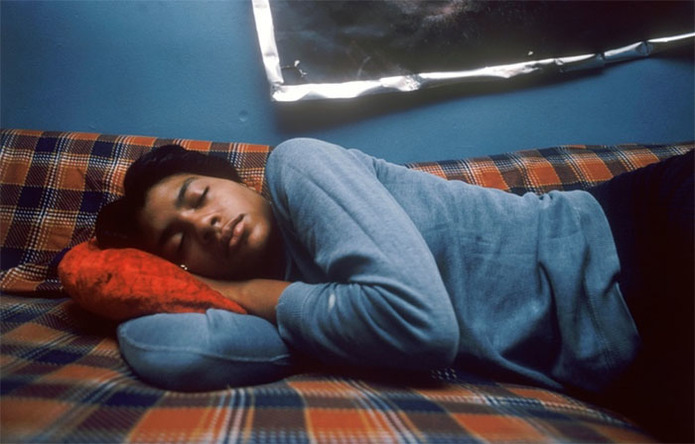 The source for these photographs is nevertheless strongly autobiographical, as well as vividly metaphorical; a reemphasis of the artist’s belief in photography’s potential as visual poetry. 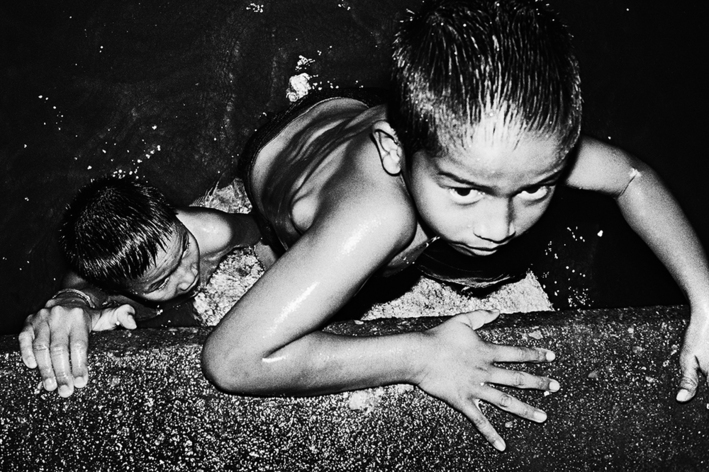 The sequencing is highly charged with contrasts: black-and-white images mix with color; the gentle beauty of coastal rocks clashes with a flash-lit image of the bright, blood-red placentas from the birth of his twins. 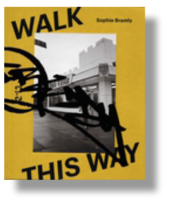 The book leaves it to the viewer to map his or her own network of meaning from image to image, page to page. In 1911 the North Pole had already been discovered and these first valiant explorers had opened a way for secondary heroes that were willing to prove their courage and to bring back home some unforgettable and and unique memories. In that context a group of wealthy German and British supposed scientists decided to “re-discover” Jan Mayen, an island located between Greenland and Iceland that whalers had been using for years but that had not been studied scientifically. They sailed, they argued, they fought, they forgot their compass,they ran out of coal, they made it to the island, but the boat was too big and they could not land. End of the story. No medal to bring back home this time and no serious discovery in any of the fields of science that the crew was proudly representing. History is written by winners and the cinematographer in the crew was well aware of that. He convinced the loser group to stop on the way back in an Icelandic beach and to stage the landing with all the dramatising that such heroic jests entail. This is the true story of how History was staged. 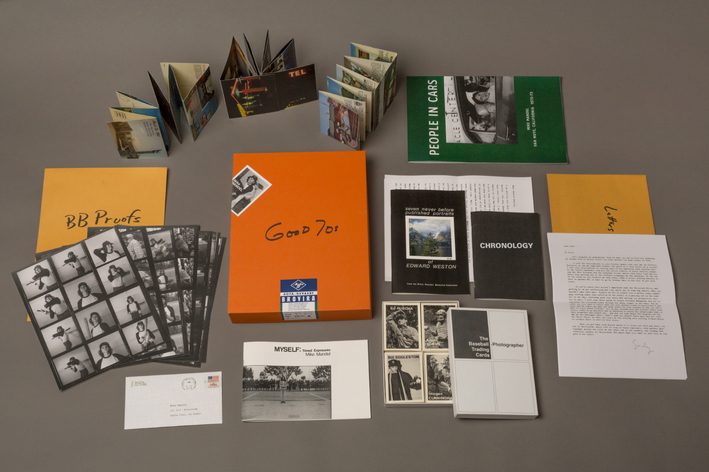 This boxed collection contains facsimiles of Mandel's original publications, long out of print, including the 'Baseball-Photographer Trading Cards', 'Myself: Timed Exposures', 'Seven Never Before Seen Portraits of Edward Weston', plus previously unpublished work such as 'Motel Postcards', 'People in Cars' and 'Mrs. Kilpatric', and ephemera from the projects, including selected facsimile contact sheets from the baseball photo shoots, a letter to Mandel from Charis Wilson regarding Edward Weston and a pack of ten of the original 1975 baseball cards. 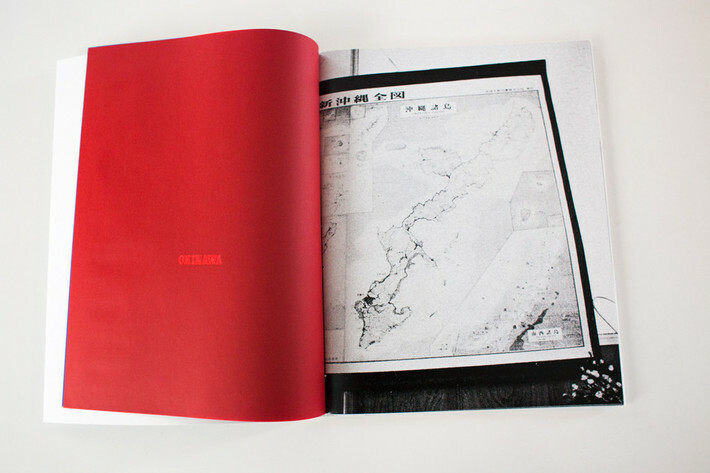 Published as part of Super Labo’s photobook series Super Labo 32, Nobuyoshi Araki’s Sentimental Journey 2 brings together Araki’s 1971 originally self-published photobook Sentimental Journey Continued within this special photobook series. Designed by Hideki Nakajima, the publication wonderfully recollects a selection of images from the original series into a altogether new design. 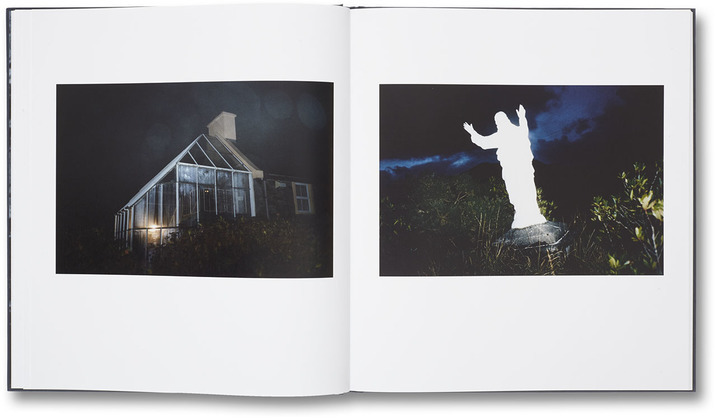 The resulting work is both a new and thoughtfully considered photobook which pays special respect to the original publication and personal importance of this particular body of work to the photographer. 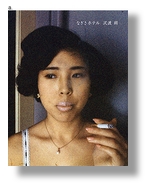 In keeping with Araki’s original publication, this photobook is available in the same 1000 limited edition as the 1971 photobook. “The Chao Phraya River is the lifeblood of Thailand. It is born as the Ping and Nan rivers become one.
" 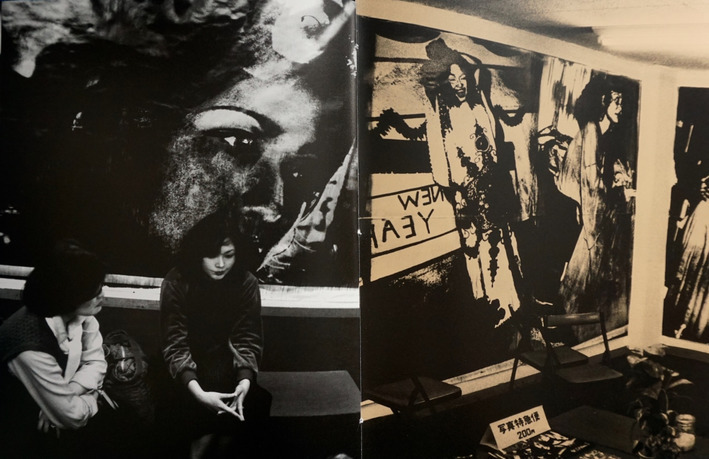 IMAGE SHOP CAMP, an independent gallery, was opened in 1976, at multi-tenant building located at 2 chome street in Tokyo’s Shinjuku district. 6 graduates of "WORK SHOP Daido Moriyama class" includes me were participated. This is where, I showed my photos of Tokyo from January to December 1979, in a radically new way. The series, PHOTO EXPRESS: TOKYO(Shashin Tokkyubin: Tokyo), was accompanied by a monthly, 16-page booklet, with issues numbered 1 to12. The shooting location was the center of 2 chome street in Shinjuku around CAMP. I presented grids of images or enlarged prints, impromptu, immediately after the photo session, almost in real time. Occasionally I transform the gallery into a darkroom, projecting the images directly onto bromide paper attached to the wall, then applying developer and fixer with a sponge. The interval between the various phases of shooting, developing, exhibition, publication, and dis-semination was thus reduced to a minimum. far from wishing to embody an intension that would be prior to the act of taking the photograph, I sought to produce images in a mechanical way, beyond my control: The accidental became a means of experiencing the world"
These photographs were taken during the years between 1998 and 2008 using six cameras made by four different manufacturers and films in four different formats. 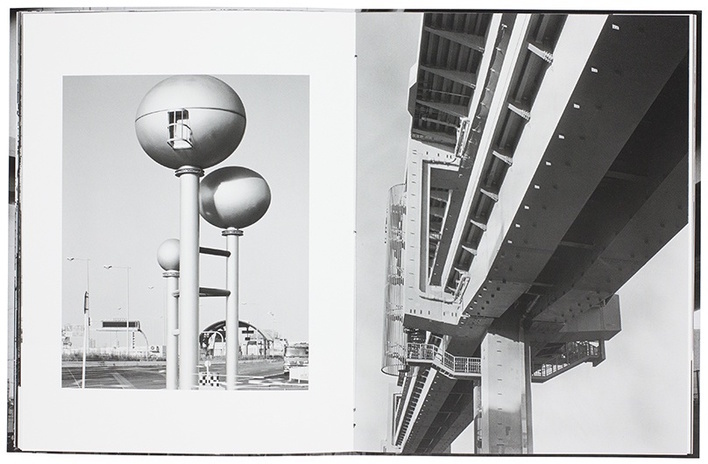 "Zokei" [created landscape], the title of this book, is derived from "paysagement" a notion presented by a French geographer in his examination of the cityscapes of Tokyo and other megalopolises developing around the world since modern times. The current situation in which there is no model for what "paysagement" should aim at seems suitable to our time at a turning point of entire civilization, not to mention technology. Thus mimicry, imitation and pantomime are and will be prevalent in photography and manners of expression. As for the history of photography, when such dispositions that every modern man is supposed to have as individual personality, originality and identity are differentiated up until now, the superficialization and fragmentation of photographic modes suit the space-time representation of here and now. 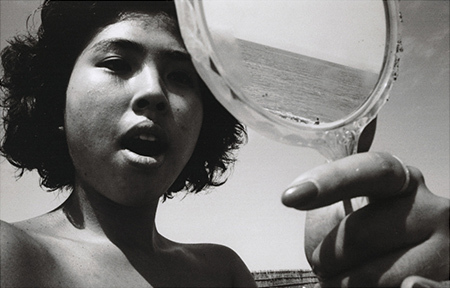 I took these photographs around 1963 and 1964 at Nagisa Hotel in Zushi, Nagisa Hotel in Shinagawa, and Chigasaki Beach. The subject was my girlfriend, her initials Y.O. Back then I worked at a design firm in Ginza, Tokyo, and I photographed them in seven or eight sessions we had on my days off. It was my hope to have them published in the monthly magazine Camera Mainichi, but Shoji Yamagishi, the editor, did not approve. It has been 50 years since then and my wish has finally been fulfilled. Skid Row Los Angeles is home to some 15,000 (former) homeless people. 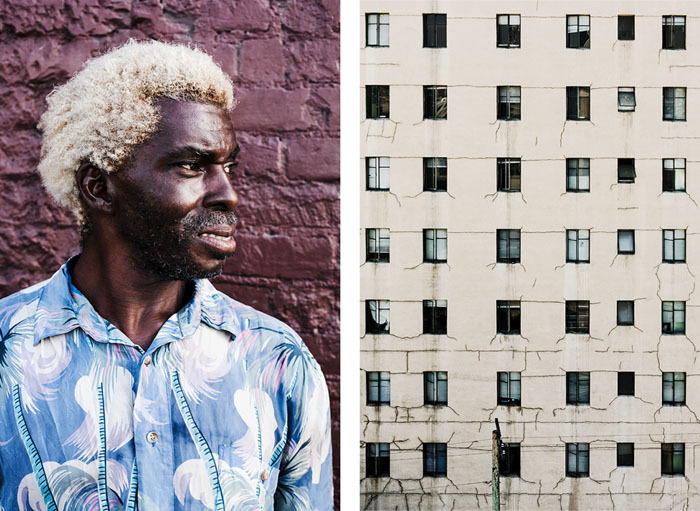 Dutch photographer Désirée van Hoek documented the neighbourhood between 2007 and 2015. Being a former fashion photographer, her focus is on people’s dwellings, possessions, and clothes. The result is a unique portrait of a neighbourhood that is changing rapidly. Simultaneously, it’s a universal story about the way people survive under the most difficult circumstances. 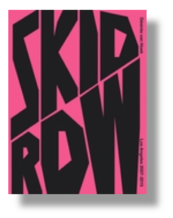 The book includes an introduction by Gale Holland, Skid Row reporter of the ‘Los Angeles Times’. their parents, backstage, or wherever they would appear the most sensitive, touching, moving. Please note the signed copies are rare and limited stock. Order now or send us a message to reserve your copy.